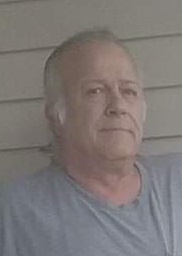 Tom Ricchio, 64, of Oelwein passed away on Monday January 21, 2019 at Mercy Hospital in Oelwein. Per Tom’s wishes, there will not be any public services held. Thomas James Ricchio was born on May 25, 1954 in Racine, WI to parents Alex Sr. and Arlene (Blurton) Ricchio. He attended Oelwein High School. In April of 1974 he was united in marriage with Teresa Pirillo. They later divorced. Tom had been employed with his father-in-law’s vending route and then the railroad in Oelwein. He then was employed with the City of Oelwein Sanitation Dept. and Woodlawn Cemetery before establishing Ricchio Sanitation, which he operated from 1984 until 1995. Following the sale of his sanitation business, he was employed with DeKalb in Oelwein until his retirement. Tom enjoyed the outdoors, especially hunting and fishing. He loved his Corvettes and his interest in aircraft. He had a talent for smoking meat of any kind and really enjoyed cracking open a “cold one”. He will be remembered for his “old-school” and “hard-nosed” Italian personality. Left to celebrate Tom’s life are his sons: Anthony (Amy) Ricchio of Oelwein and TJ Ricchio of Oelwein; his grandchildren: Ashley, Courtney and Collin Ricchio; his sisters: Sheri (Dave) Morris of Oelwein, Mary (Terry) Bruns of Early, IA, Cindy Stowe of Hazleton, Barb (Norb) Stenzel of La Crosse, WI and Alice (Bob) Benter of Oelwein; his brothers: Andrew (Rose) Ricchio of Cody, WY and Alex Ricchio of Oelwein. He was preceded in death by his parents; his baby sister Patricia and his brother Michael Ricchio (2017). Was an awesome brother! I will miss you Tom! We are so sorry for your loss. He always had a smile on is face. He will be missed.